People always blame Death for his unfairness but now for the first time you may hear the side of story from death's perspective. At last, the mysterious, feared, and misunderstood being known only as “Death” talks frankly and unforgettably about his infinitely awful existence. Chronicling his abusive childhood, his near-fatal addiction to Life, his excruciating time in rehab, and the ultimate triumph of his true nature, this long-awaited autobiography finally reveals the inner story of one of the most troubling, and troubled, figures in history. For the first time, Death reveals his affairs with the living, his maltreatment at the hands of the Four Horsemen of the Apocalypse, the ungodly truth behind the infamous “Jesus Incident,” and the loneliness of being the End of All Things. 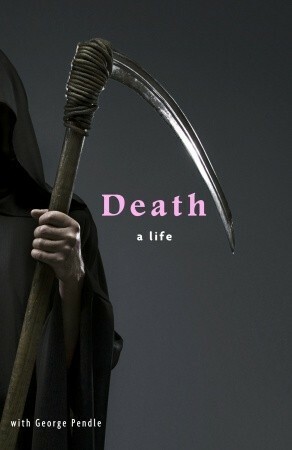 Intense, unpredictable, and instantly engaging, Death: A Life is not only a story of triumph against all odds, but also a tender, moving tale of unconditional love in a universe that, despite its profound flaws, gave Death the fiery determination to carve out a successful existence on his own terms. DEATH was born in Hell, the only son of Satan and Sin. He was educated in the Palace of Pandemonium and the Garden of Eden. Since before the Dawn of Time, he has ushered souls into the darkness of eternity. This is his first book.